There's no denying that plants love the sun. And who can blame them? Sometimes there's nothing better than being sprawled out in the backyard, soaking up those golden rays. But time in the shade is even more essential - for you and your garden. As with a lot of things, it's all about finding the perfect balance. Spend too much time in the sun, and things take a turn for the worse. Where your plants are concerned, that can mean ongoing damage, barren plant boxes, and a hard time keeping the garden from turning into a wasteland over summer. That's where Coolaroo shade cloth, gazebos, umbrellas and other shade structures play a vital role. Shade cloth can be great for the garden, by offering plants some respite from the heat. But they can also benefit you - the gardener - by offering a range of distinct positives too. One of the key aspects of a successful shade garden is choosing plants that will be suited to the environment. If you've got a specific area of your garden that receives comparatively less sunlight, then you've got an opportunity to plant some interesting varieties of shade-tolerant plants. It mightn't be hot in the shade, but it's still a chance to spice things up with a range of gorgeous ferns and eye-catching flowers that don't necessarily thrive in direct sunlight. As a quick example, azaleas flower beautifully with comparatively low levels of sunlight; camellias are another great option; while lilies and Mondo grasses offer fantastic, interesting textures. But we're not going to tell you what to do - have some fun mixing and matching interesting plants to make your shade garden a highlight! With reduced exposure to the direct sun, your plants and soil will be exposed to much less heat in general. That means there's less chance of water evaporating in the harsh summer rays. With improved water retention throughout the long hot months, your plants are more likely to retain their lively green appearance. Plus, the more moisture your plants can save, the less frequently you'll have to water them, and therefore the lower your overall water bill in the long run. With a shade garden, you could stay in the green over summer in more ways than one! Once you’ve established your shade garden, you’re likely to find that it’s much lower maintenance than a regular garden. Many shade tolerant plants are designed to thrive with minimal assistance. If you care for you garden beds by covering them with a thick layer of mulch initially, offering water every now and then when needed, and do your best to keep them out of direct sunlight, they’ll take care of the rest. Easy! As we said earlier, many plants love sun. Well, weeds are plants too. With less direct exposure to the sun, there’s less promotion of growth for weeds, making them much easier to monitor and eliminate. Plus, weed seed germination is typically poorer in shaded environments, so they won’t necessarily thrive the way they normally do. Not many people think of keeping gardens in their shaded areas. But when you take these factors into account, it becomes pretty clear – shade gardens are a great option for the backyard over summer, without a shadow of a doubt! 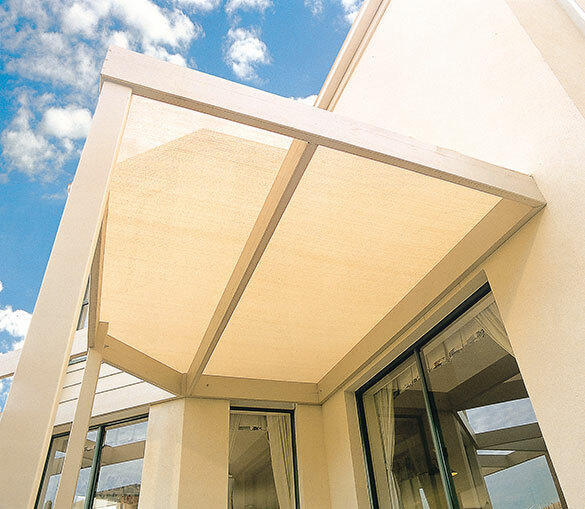 Coolaroo shade cloth comes in a wide range of shade cover percentages that allow the perfect mix of light to pass through, providing enough cover to protect your shade garden and enough sunlight to keep them growing. Shade cloth features a breathable fabric, helping the area to stay cooler instead of creating an insulated hot-box. Our shade cloth enables greater use of temporary shade in hotter periods. With a variety of semi-permanent solutions, you can expose your shade garden in the cooler months of the year. Change things up – variety is the spice of life! To find the perfect product for your shade garden project, check out our range of shade solutions and garden solutions today.